We offer optimal and specific monitoring solutions to facilitate PLM operation. 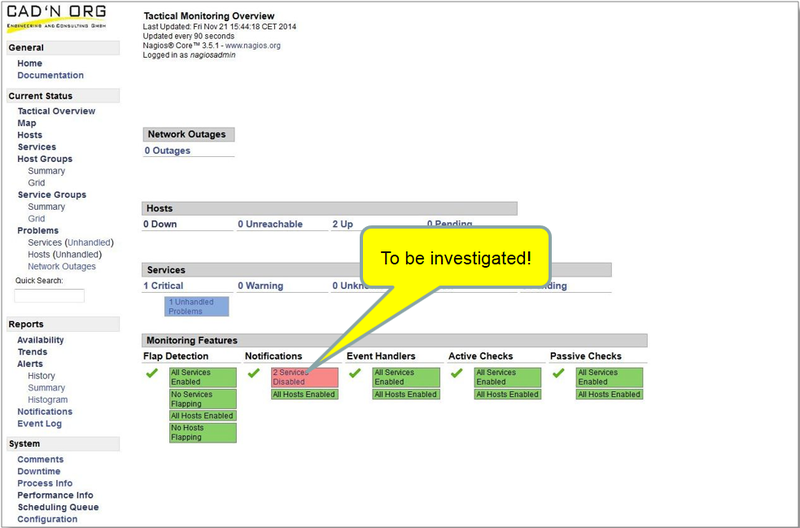 In addition we offer you the possibility to monitor different Teamcenter modules. Take a look at our solutions in detail. 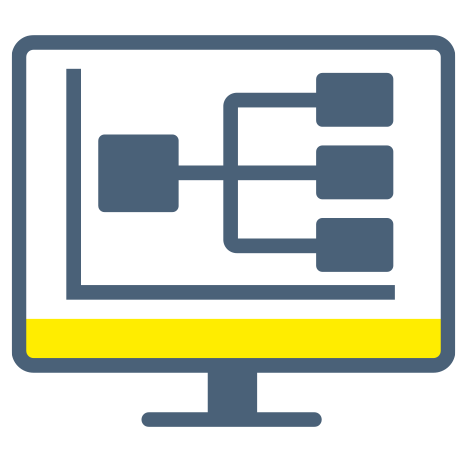 Workflows are an important tool for controlling processes in the PLM system Teamcenter. Their smooth running is crucial for short release cycles. 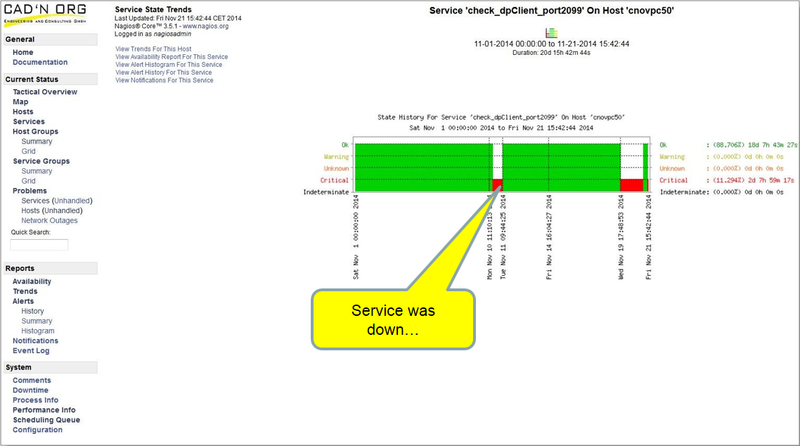 Errors within the processes often generate a high administrative effort. The permanent monitoring of these processes, the detection of error conditions and delays as well as the evaluation of detected problems contribute significantly to increasing the data quality, to improve processes and to avoid administrative efforts and thus to increase the user acceptance. 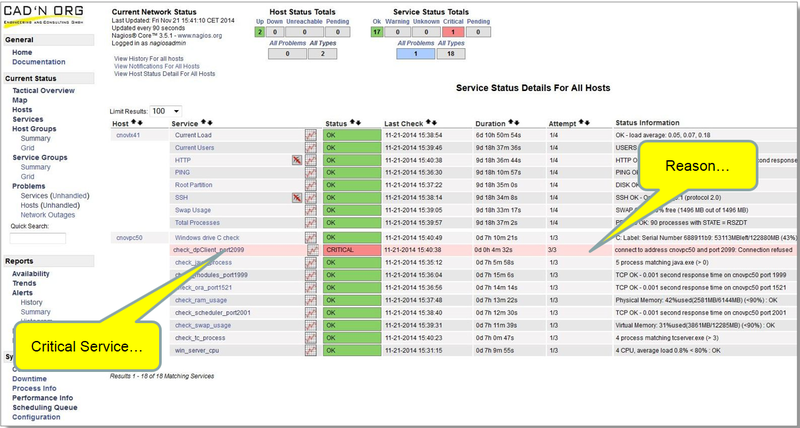 With the CNO Workflow Monitor, CAD ‘N ORG provides a powerful tool to monitor the workflows and their tasks in Teamcenter, detect and eliminate error conditions, and support process analysis. Listing and sorting of all workflows by object, status, time, owner etc. 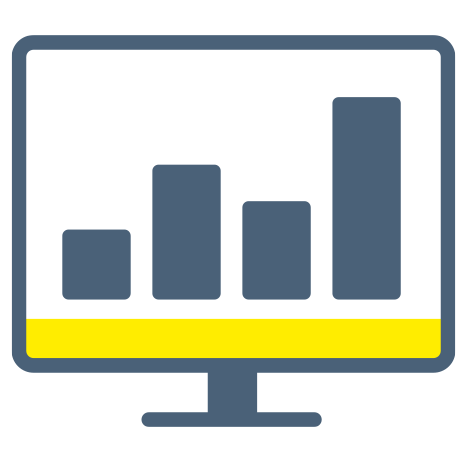 Extensive statistics on the use of workflow templates, time consumption, etc. 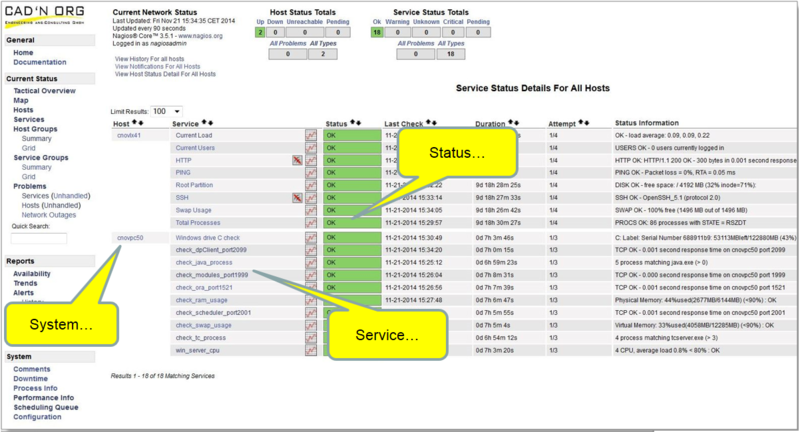 The CNO Workflow Monitor effectively supports Teamcenter support, especially with a large number of different workflow processes. Generation of neutral formats is a crucial building block in information processes. Here important information of different origin (drawings, forms) are brought together. This is based on production releases as well as supplier orders or acceptance tests. When this information is missing, the whole process often falters. 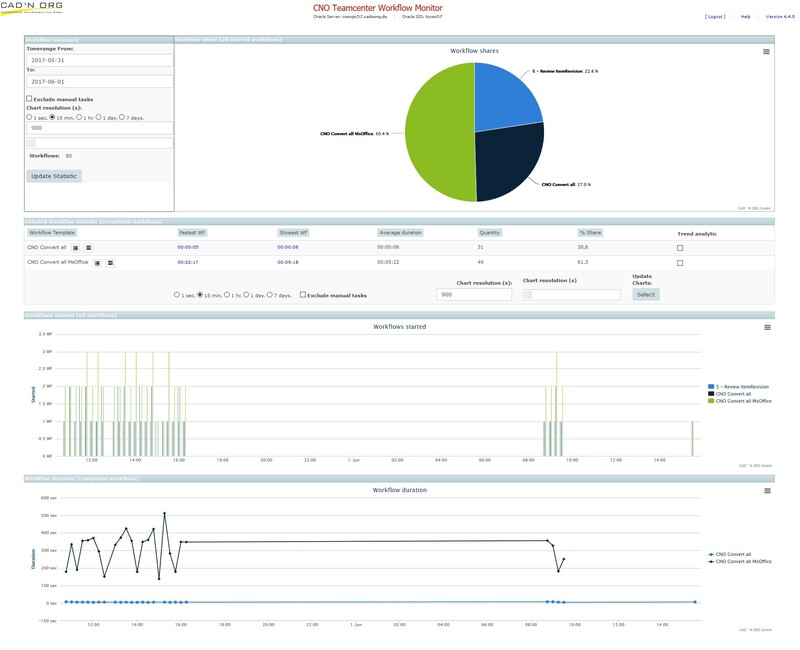 With the dispatcher monitor, CAD ‘N ORG provides a reliable tool to monitor dispatch center processes in the PLM system Teamcenter, detect and eliminate errors, and support performance and needs analysis. List and sort all conversion jobs by object, conversion status, converter, owner, and others. Comprehensive statistics on the use of converters, time consumption, etc. 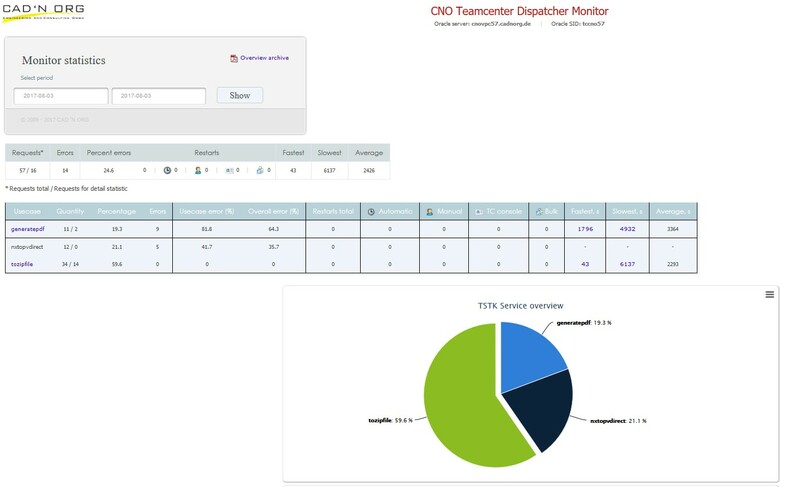 The CNO dispatcher monitor effectively supports Teamcenter support, especially in a variety of jobs with different services, distributed servers, and different operating systems. The Teamcenter PLM system consists of different components, all of which can only work together trouble-free if each system component fulfills its task.